Eternal Orthodox Church calendar for the 21.05 year 2017. The main commemoration of this great Apostle and Evangelist is on September 26th, but on May 8th is commemorated a wonderful revelation about his grave. When St John was more than a hundred years old, he took seven of his disciples, went outside the city of Ephesus and told the disciples to dig a grave in the form of a cross. Then the old man went down alive into the grave and was buried. When the faithful later opened John's grave, they did not find the body in it. And on May 8th each year a dust arose from the grave, from which those suffering from many diseases were healed. This famous saint was born of a patrician family in Rome, and was well-educated both in secular learning and philosophy and in spiritual wisdom. Abandoning all secular studies, he gave himself to the service of the Church and was deacon in a large church in Rome. Unmarried, retiring, silent and prayerful, Arsenius thought that he would spend his whole life in that way. But, by the providence of God, his life was directed in a different way. The Emperor Theodosius summoned him to bring up and educate his two sons, Arcadius and Honorius, and made him a senator, surrounding him with wealth, honour and luxury. But this was a greater burden than pleasure to the heart of Arsenius. It happened at one time that Arcadius was at fault, and Arsenius punished him for it. The insulted Arcadius thought up a harsh revenge on his teacher, and, when Arsenius discovered this, he dressed himself in simple clothing, went to the coast, got into a boat and sailed off to Egypt. When he arrived at the famous Scetis, he became a disciple of John the Dwarf and gave himself to asceticism. He considered himself as one dead, and, when he was informed that a rich kinsman had died and left him all his goods, he replied: 'I died before he did. How, then, can I be his heir?' He retired to a cell in the desert as into a grave, and there he spent his days weaving baskets from palm-leaves and his nights in prayer. He fled from men and from every conversation with men. Only on feast-days did he leave his cell and come to the church for Communion. In order not to become idle, he often put this question to himself: 'Arsenius, why did you come into the desert?' He spent thirty-five years as a hermit, and all that time he was an example to the monks and the glory of monasticism. In all, he lived a hundred years and departed this life peacefully in 448, after long labours and trials voluntarily taken on himself. He went to the Kingdom of Christ the Lord, whom he had loved with all his heart and soul. 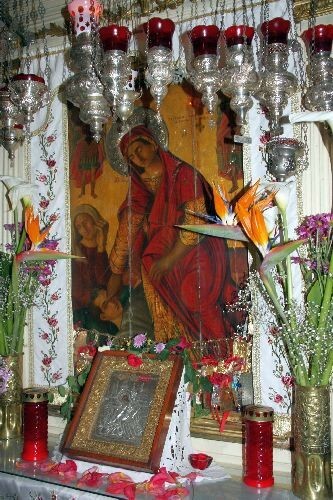 She was the mother of St Basil the Great. In her youth, she desired to remain a life-long virgin, but was forced to marry. She bore nine children, and so endowed each of them with a Christian spirit that five of them became Christian saints: Basil the Great, Gregory of Nyssa, Peter of Sebaste, Macrina and Theosevia. She founded a monastery in her old age, where she lived with her daughter Macrina, and where she entered into rest in the Lord on May 8th, 375. A monk of Kiev, he never gave himself any rest, but worked without pause. He ate only once a day, at sunset. He lived in asceticism and died in the 14th century. 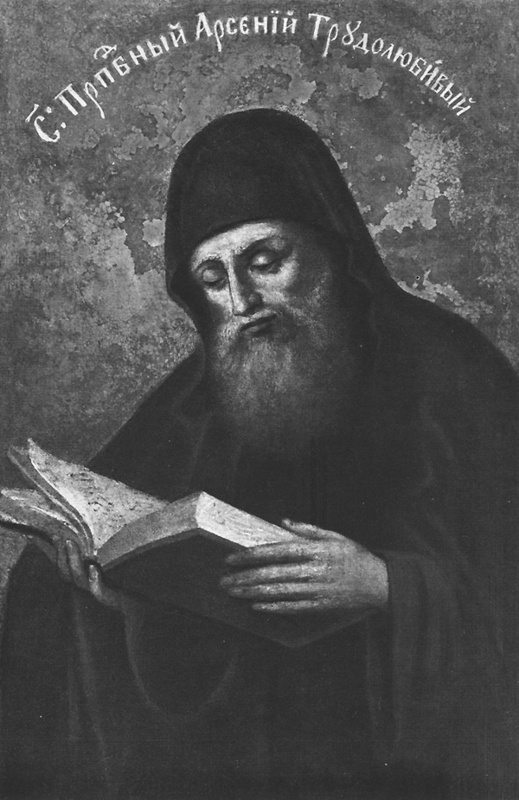 The Monk Arsenii the Lover-of-Work lived during the XIV Century. This ascetic was distinguished by his love for toil, and having pursued asceticism in the Caves of the Kiev monastery of the Uspenie of the MostHoly Mother of God, he knew not rest, he prayed constantly and partook of food only with the setting of the sun. For his humility and love of work he was bestown by the Lord the gift of wonderworking. The memory of the monk is also made conjointly with the Saints of the Farther Caves – on 28 August.